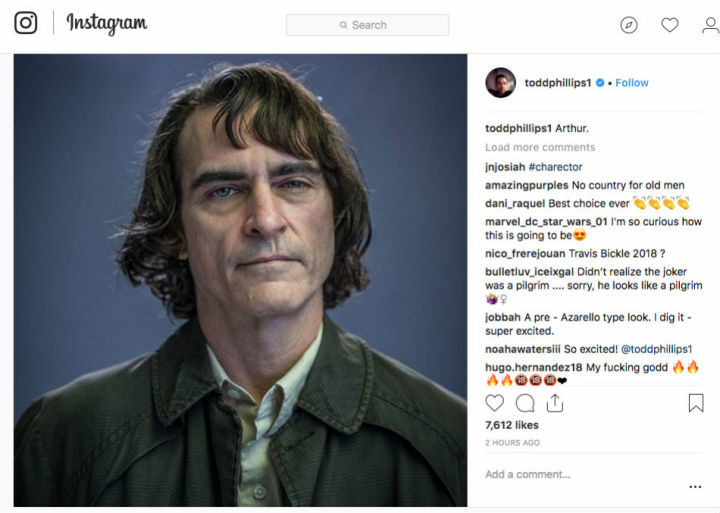 Todd Phillips, director of the upcoming Joker standalone movie, posted the first official photo of Joaquin Phoenix as the title character to his Instagram account Sunday. The character, however, is not quite what you might expect. The photo seen below shows a long-haired, gaunt Phoenix with the caption “Arthur,” which we can take as being this particular Joker’s real name before he transforms into the Clown Prince of Crime. Joaquin Phoenix as “Arthur” in The Joker.